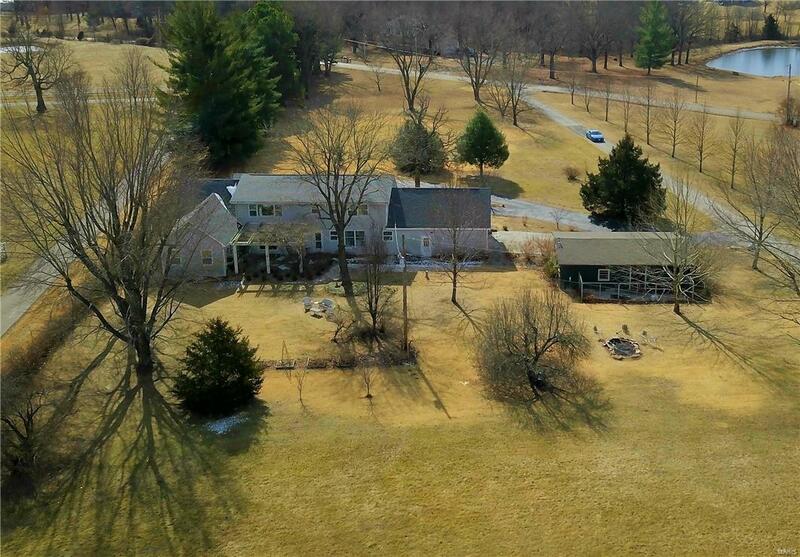 Spacious 4BR/3.5BA home on 3.05 acres m/l (acreage in 2 parcels--additional parcel described below). Lawn is level with mature trees & asphalt circle drive. Main floor has geothermal heat & air. Living room, dining room and one bedroom have floor to ceiling windows providing a gorgeous view to front lawn and neighborhood. Living room, dining room and family room also have luxury vinyl plank floor covering. 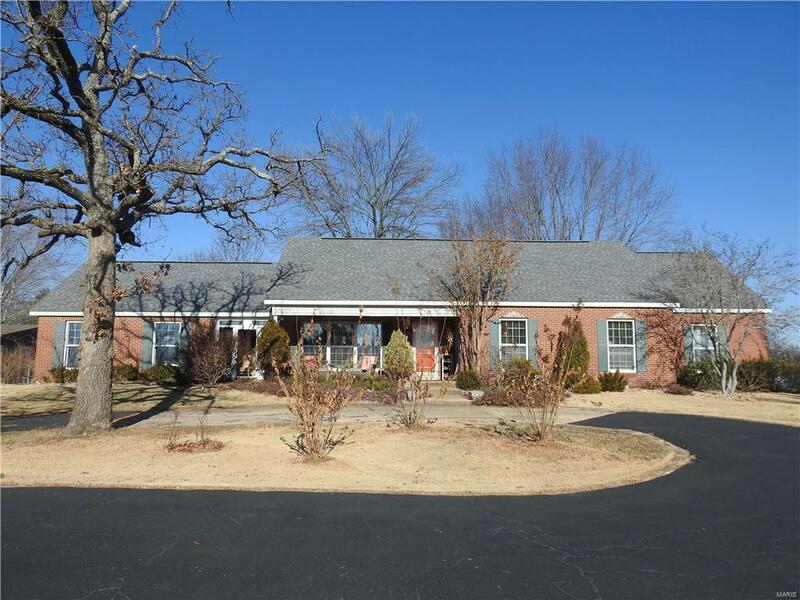 Main level Master bedroom has double closets, ceiling fan and doorway to concrete patio. Patio covered by a pergola measures 17x12. 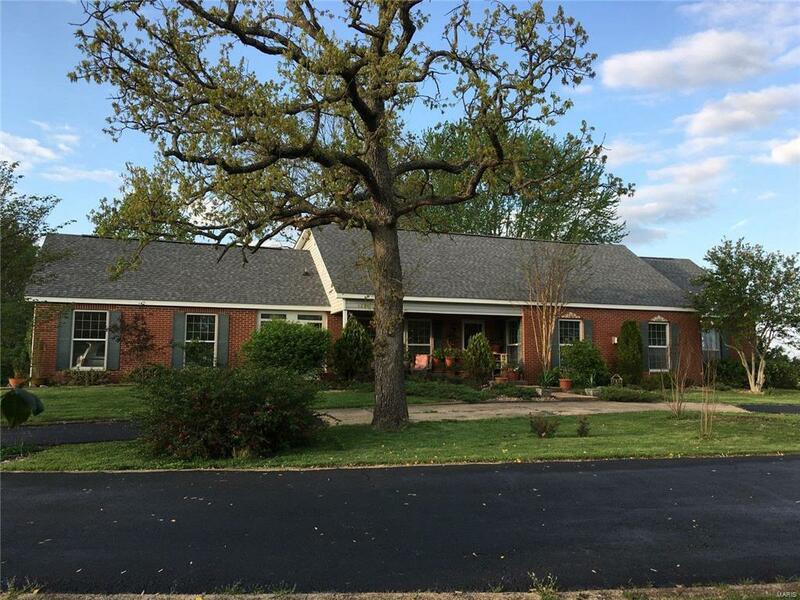 Upper level includes large open den, SECOND spacious master bedroom, full bath, smaller bedroom, many closets, and attic space for extra storage. Detached workshop is 21x8 and 25x23 garage space. Off the back of the detached garage is a 10x30 dog kennel. 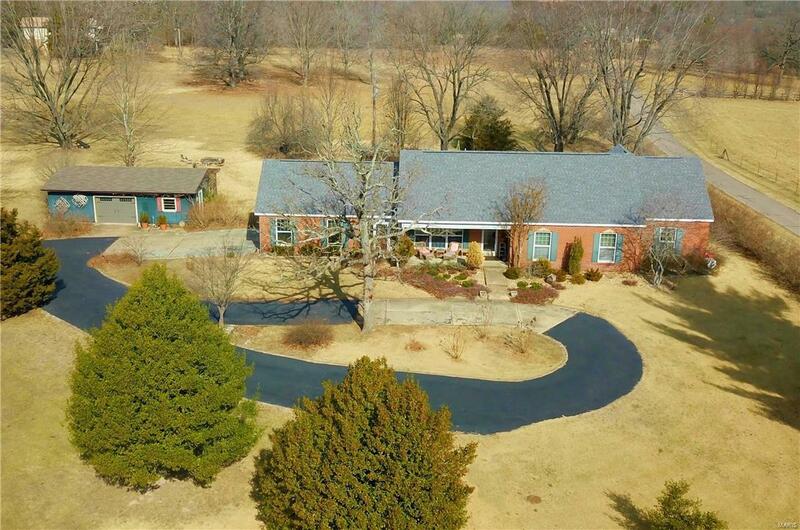 Listing includes house on 2.130 acres m/l and also acreage with parcel number 71-10-3.1-08-000-000-071.002 located directly north of home that is 0.920 acres m/l.